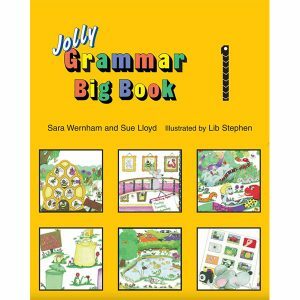 Designed to accompany the Grammar 3 Pupil Book (in Print Letters), the Grammar 3 Teacher’s Book (in Print Letters) provides detailed lesson plans for teaching spelling and grammar to children in the 4th year of Jolly Phonics. Children are able to work through the Pupil Book and complete a variety of activities which develop key spelling and grammar skills. 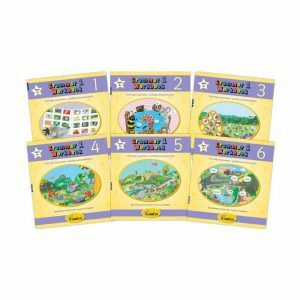 The teacher is able to support and guide the children through the book with the lesson plans provided in the Grammar 3 Teacher’s Book (in Print Letters). 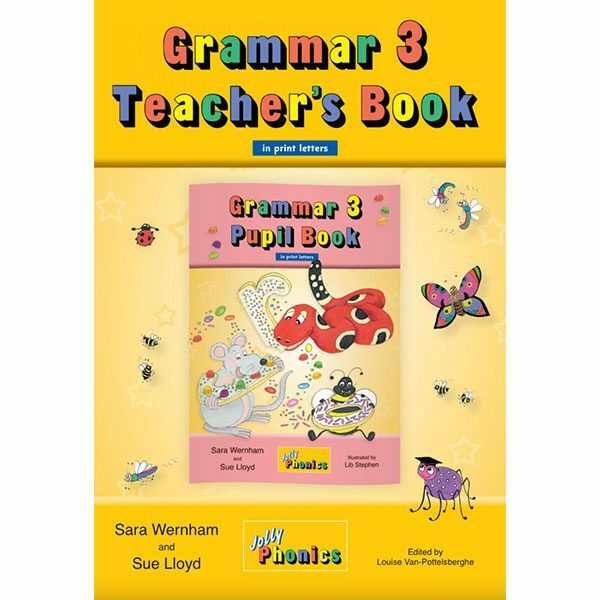 Grammar 3 Teacher’s Book (in Print Letters) follows on from Grammar 2 Teacher’s Book (in Print Letters), providing daily structured lesson plans, which correspond to the daily activities in the Pupil Book. 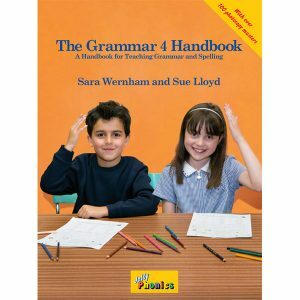 The book contains 36 spelling and 36 grammar lessons covering the following areas: new spelling patterns; syllables; collective nouns; possessive pronouns; contractions; present participle; conjugating verbs; irregular plurals; prefixes and suffixes; nouns acting as adjectives; simple and continuous verb tenses; punctuation; dictionary work; writing in paragraphs and further sentence development.